EVEN his worse critics who dote on him when they are not sniping describe him as Egypt's top filmmaker-director. And since summing up his record blockbusters risk turning this feature into a book of lists, suffice to say Hussein Kamal is often described as the director with the most consecutive box office successes. Understandably, this occasions jealousy amongst his peers--Movie directing, like any cultural vocation, has its share of internecine rivalries. 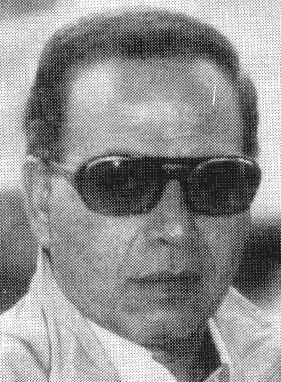 A beginner in the 1960s, Kamal embarked on a career in television directing. Circumstances favored the graduate of the Paris-based Institut des Hautes Etudes Cinematographiques especially since television had just appeared in Egypt thus offering unprecedented opportunities for greenhorn talent. An opportunity which Kamal quickly grabbed. Kamal's earliest recorded television achievement was Ranin. This was a 29 minute Arabic adaptation from a French sketch where cast and props were limited to one actress--Sana Gamil--and a telephone. The mundane interaction between human and object earned Kamal his first directing prize. From then on it would be a continuum of awards and nominations recognizing the director's achievements in television, movies, radio, theater and musical extravaganzas. Thirty years later Kamal is still churning out winners. Meanwhile his deep rich voice, dark brown eyes, sense of humor full of mischief, make him look much younger than his fifty-something. Or is it because he is a regular at a health spa? Each summer Kamal assiduously walks by the shores of Lake Boden-Zee (Constanza) straddling the Austro-Swiss border. This is where he checks in annually to tackle his chronic weight problem. "It's becoming more and more problematic. Somehow, I seem to gain weight each time the neighbors eat!" laments Kamal. The fact is, Egypt's favorite director worships good food and when he is not eating he is nibbling or sipping. His kitchen looks like a futuristic food lab. But then Kamal loves gadgets and everything electric... an excellent customer for television's shopping guide. Reluctantly moving away from his hi-tech kitchen and into his elegant living quarters, you'll catch him punching the buttons of a half-dozen remote controls. Kamal thrives on operating a range of state of the art audio-visuals. A video addict, he has the capacity to spend 12 straight hours screening new movies. "I enjoy foreign films. They're the best directorial medium. I love Hollywood. I love the whole world of films!" "... and in whatever language" he could have added, for being half Greek and a great traveler, Kamal is fluent in five languages. Hence his compulsion for channel surfing whenever he watches satellite television. His most recent acquisition is a laser disc titled Michael Jackson's clip "Dangerous" directed by John Landis. Playing it at full blast, Kamal expounds on the clip. "The visual imagery, the computer graphics, the virtual-reality effect and the camera work are awesome." Replaying it once more he describes the set and its layout. "They are any director's ultimate fantasy" says Kamal with a sigh. Just as Jackson and my host are about to climax, the director's telephone rings. Kamal freezes the picture on his giant screen and teleconferences the details of a potential contract. A diva wants him to stage direct her upcoming concert. The anti-climax is all over director's face. "How can I ever get remotely close to what we just saw?" Kamal is obviously referring to the Jackson clip. "Our studio and sound labs are museum pieces. The technical know-how extremely primitive... leftovers from the silent movies". Maybe that is why he discourages his pictures from competing in international film festivals. Kamal acknowledges the limitations. he confirms that Egypt is not ready for such exposure. The handful of Egyptian directors who partake in major European film festivals do so either because they are entering co-productions or because they have the support of personal contacts and are privy to foreign technical assistance. Yet despite his sense of fiscal responsibility and given the resources at hand, Kamal hasn't done too badly for himself. His success is partly due to his relying on his own instinct and tastes which have uncannily mirrored those of movie audiences around Egypt and the Arab World. From the beginning, Kamal steered away from complicated biographical scripts, particularly those laden with subliminal sexist or deviant overtones. "Mainstream moviegoers are either confused or perplexed by this genre which has become the raison d'etre of some of my more complicated and introspective peers." Without mentioning names, Kamal is obviously alluding to his one time mentor Youssef Shahin. Kamal's preference has always been the straight and simple. Easy-to-comprehend plots and melodrama. "I'm more an entertainer than anything else, a call-back to the era of big studio entertainment movies we all loved." Kamal hates horror and violence. That is probably why the romantic novelist Ihsan Abdul Kodous fits his bill so perfectly. Kamal's nine choices from among Kodous's rich repertoire were all screen hits. The selection of the lead actress was undoubtedly a contributing factor. She somehow epitomized Kodous's female heroine. Today, Nabila Ebeid is a superstar fetching one of the highest salaries in the business. "Alas, directors never rake these kinds of earnings" exclaims Kamal who refuses to disclose how much he made from his last movie. Nonetheless, the Kodous series did not come easy. There were continuous tugs of war between the demanding author and the nervous independently minded director. While the former was stickler for the original text, Kamal insisted on his own screenplay version. "The cycle was always the same: arguing, quarreling followed by a testy reconciliation when the film proved a resounding success." Although Kamal muses over his nine arguments, nine quarrels and nine reconciliations, he is fixed about his preference for Ihsan Abdul Kodous's novella. "He was like a plastic surgeon who knew his female patients inside out. He cleverly reconstructed them according to their individual personalities. I don't know of any other director who worked with Ihsan as much I have". On the other hand, Kamal found that working with Nobel Laureate Naguib Mahfouz on the movie adaptation of four of his works, including the international award winning The Overcoat, was much easier. Maybe it's because Mahfouz is a talented scriptwriter. 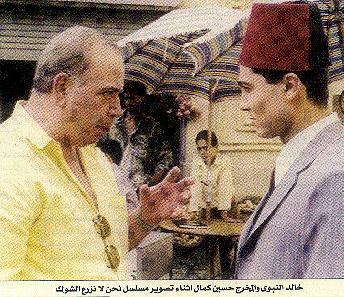 In any case authors Mahfouz and Tewfik el Hakim hardly ever interfered with Kamal's directing. One of Kamal's works which would have made the still-to-be-published Egyptian Guinness book of records is My Father's On A Tree (Abi Fawk el Shagara) starring Egypt's heartthrob crooner Abdel Halim Hafez (1929-77). This was the longest screening picture in the history of Egyptian cinematography. The movie ran for 54 consecutive weeks (1970-71) with astounding box-office results. The record is upheld to this day. In the domain of theater, Kamal is best remembered for his epic musical comedy Raya Wa Skina, the story of two notorious sisters-in-mischief who murdered their gullible victims. The play Village In Revolt (1963) made history if only in retrospect when it launched Egyptian actor-comedian Adel Imam. "At each new performance I added another sentence to Imam's original one-liner. The young man was brilliant and my predictions were right on target." It would be twenty years before Kamal and Imam teamed up again. Once on the movie set of We're The Bus People (Ihna Beto el Autobees) and on the stage planks with Sayed The Manservant (El Wad Sayed El Shaghal). These two comic satires were instant successes--two more milestones for two successful careers. Kamal cannot predict which films he will be making in the future. "I just make films I like yet I may try something more serious. I haven't really a focused direction." In other words Kamal is waiting for the catchy script. What moviegoers fail to realize is that many of Kamal's films were brainstormed in his kitchen. Whenever he is at loss of ideas or is script-blocked, he marches into his food factory and furiously rinses dishes and cutlery over and over again for as long as it takes. And if that session fails, he'll take a 3-5 kilometer hike around town. Somehow, the inky depths of midnight inspire Egypt's primo director. So don't be surprised if one night you stumble on a loner shouting "Eureka, I've got it!" His advise to young directors: "Talk to people." Considering his unblemished record, Hussein Kamal knows what he is talking about. 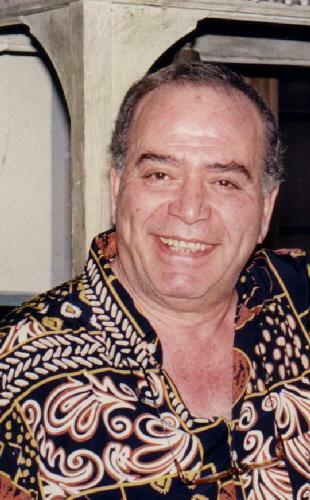 I was surfing the net, when I fell again on your kitchen talk with late director Hussein Kamal. The story goes back several years ago, I would imagine 2001, when I received a call from late director Hussein Kamal accusing me for not adding him on site whilst I added "others" who are not comparable to him. We talked several times and met, I just want to mention that he was very proud of your article, he made it a reference base in our work. After he died, the Egyptian Cinema lost a lot, I am sorry this great director was unrecognized during the last years of his life... and thank you for keeping such a great archive..